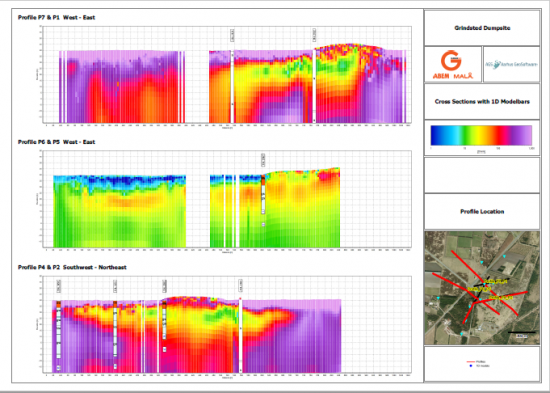 The software developed by Aarhus GeoSoftware is based on extensive user experiences with various electrical and electromagnetic geophysical methods. AARHUS SPIA is aimed at geophysical soundings measured as either Vertical Electrical Soundings (VES) or Transient Electromagnetic (TEM) soundings whereas processing and inversion of profile-oriented data as ERT/IP, GCM or even airborne TEM and HEM data is performed in AARHUS WORKBENCH. Aarhus Workbench is a unique and comprehensive software package for processing and inversion, as well as visualization of geophysical data. The package integrates all steps in the workflow from processing the raw data to the final visualization and interpretation of the inversion models. 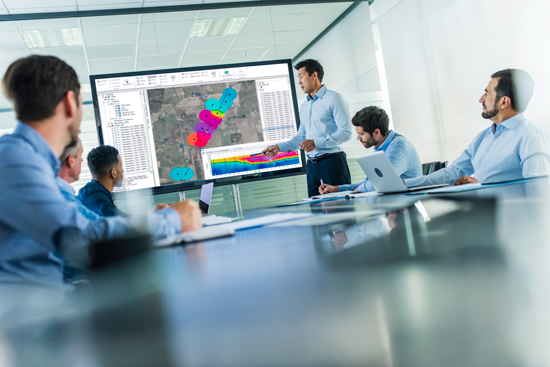 The Aarhus Workbench package includes dedicated data processing modules for different geophysical data types, an integrated GIS platform, which supports all EPSG coordinate systems and a 3D viewer for visualization of the geophysical results. Aarhus SPIA is a processing and inversion software for ground-based TEM and DC data. The graphical user interface simplifies the processing and inversion process and enables user-friendly and intuitive access to each step in the process. The processed data and inversion models are all saved in the same SPIA database and can be imported directly into the Aarhus Workbench Essentials module for easy visualization of the results. In Aarhus SPIA TEM, data obtained with ABEM WalkTEM is imported directly. The electromagnetic data can be plotted in different ways, e.g. raw or stacked in either dB/dt or apparent resistivity mode. Noise and spike filtering are done automatically when importing data. The Aarhus SPIA DC module imports ABEM SAS instrument file formats directly but data can also be imported either by importing other data files or by manually typing data into the software. On import, UTM coordinates can be added to each sounding.